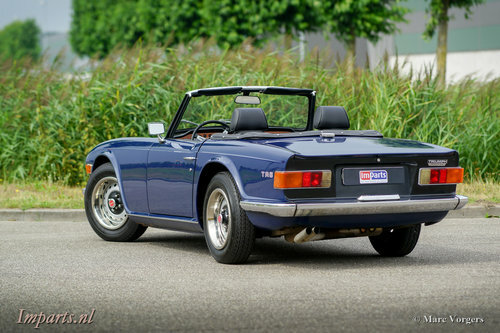 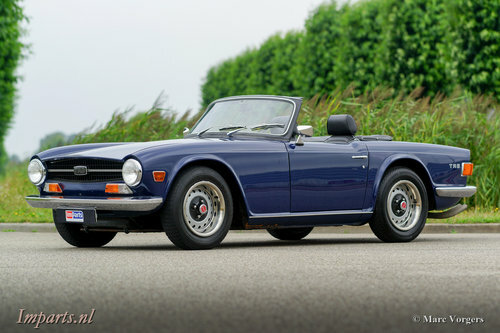 Triumph TR6 PI, year 1972. 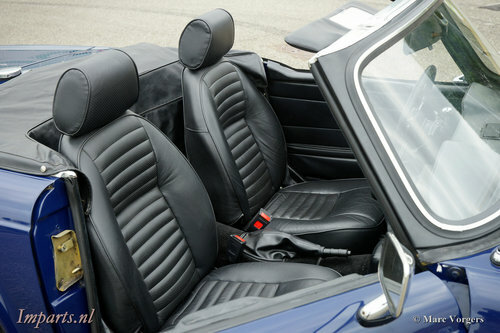 Colour dark blue with a black leather interior and black carpet. 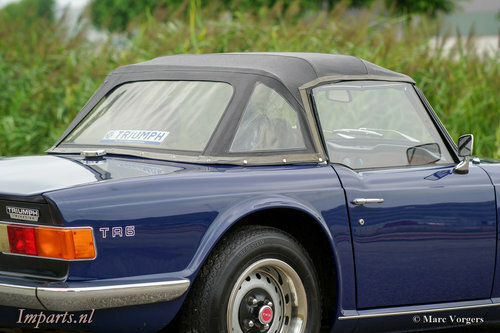 Black vinyl soft-top and hood-cover.  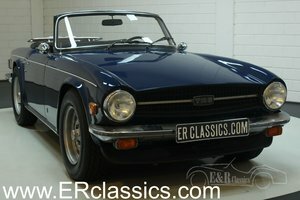 This beautiful factory original TR6 PI is a CP model with the very desirable 150 bhp engine. 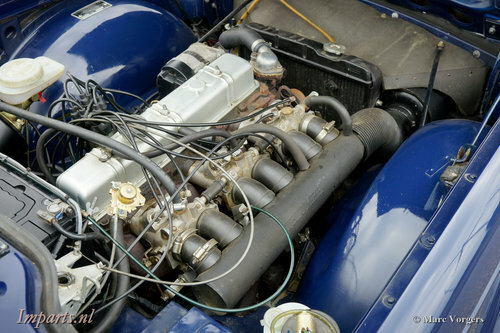 The car was delivered to Belgium as a CKD car to be assembled, the car was dispatched to the Netherland in June 1972. 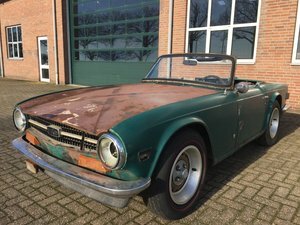 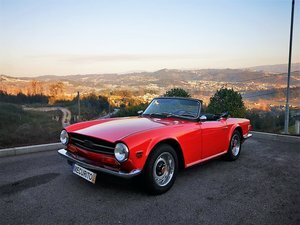 This TR6 PI was cherished by the last owner since the year 2005, the automobile is in very good driver condition and the car drives and sounds perfectly! 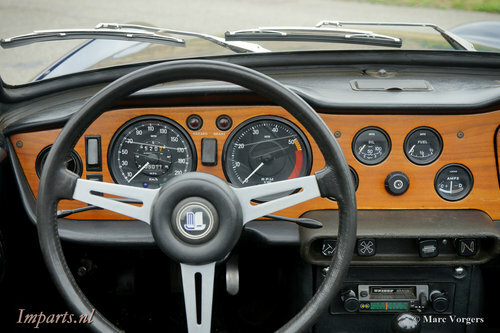 The car features a modified PI system (Bosch Petrol pump instead of the Lucas type), special comfort seats with a higher back and head-rests, two chrome door-mirrors, electronic ignition and an electric cooling fan.